Home » Plumbing, AC & Electric Tips » Irrigation Systems » How Do Irrigation Controllers Work? Property owners with lawns in South Florida should consider an irrigation system suited for the climate and region. Having to water lawn space can be a daunting and time-consuming task. An irrigation system that includes an irrigation controller can be an efficient, cost effective investment, that also conserves water usage. During the summer season, temperatures can average into the upper 90’s. The heat and direct sun can damage lawns. More complex irrigation systems are used for resorts, golf courses, and commercial properties. In this article we’ll discuss how an irrigation controller functions to keep the grass and foliage of your property well-hydrated and healthy. There are two types of irrigation controllers, electric and hydraulic. Generally, automatic irrigation valves are called diaphragm valves. The water above the diaphragm has to be discharged for the value to open. In a hydraulic system, the controller and valve are connected by a small plastic tube (4mm or ¼ in diameter). The controller opens the tube connected to the valve and the valve opens. Newer, more sophisticated systems on the market use electromechanical controllers. These types of units are connected to a circuit that operates a solenoid, a type of coil wire that acts as a magnet to carry electric current. A solenoid attached to each a valve is called a solenoid valve. When a solenoid valve is activated, the water above the diaphragm actuates and the valve opens allowing water flow. A controller is essentially like a meter where you can set time intervals targeting specific hydrozones. Hydrozones are the areas where plants and foliage with the same water requirement are clustered together to conserve water. A section of your lawn may have no shade and gets direct sunlight, so those areas need more continuous, targeted irrigation. Controllers also have programmable settings and sensors used to adjust water flow to foliage and grass. These settings regulate the frequency of water from one area of your lawn to another. For the more tech savvy property owner, there are WiFi enabled controllers on the market which can be synced to your phone or device. You can check timer, water levels, receive alerts and reminders while you’re away. Wifi controllers come is different designs and setting options from 6 zones on the low end to 16 zone controllers on the high end. Regular maintenance of your irrigation system can extend the life of your controller and various other parts. Additionally, proper maintenance can keep your utility costs down, conserve water, and extend the lifespan of your system. 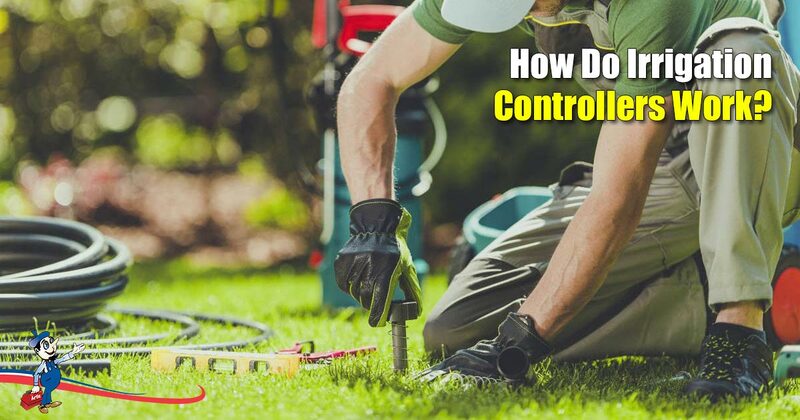 Having the correct controller as part of your irrigation system will save you money in the long term, conserves a precious resource, and keep your property lush and healthy. Schedule a consultation with an irrigation specialist from Art Plumbing, AC & Electric today. One of our irrigation specialists can analyze your existing system, determine if upgrades are needed, help you design and create a new one, and guide you on the best controller unit. We offer several lawn sprinkler maintenance plans – protect your landscaping with one of our convenient maintenance plans for your total peace of mind.